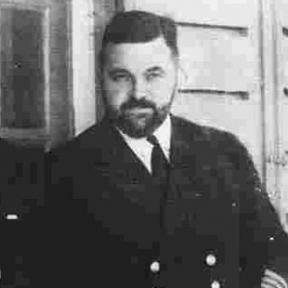 A RENOWNED submarine commander from Newport who was awarded the Victoria Cross will be recognised tomorrow with the unveiling of a plaque on the house where he was born. John Wallace Linton VC, known as ‘Tubby’, was born in Malpas and went on to command submarines during the Second World War. He was responsible for sinking around 100,000 tonnes of enemy shipping but died along with his crew, almost certainly due to his submarine, HMS Turbulent, being hit by an Italian depth charge. It will be mounted on the porch of the house where he was born in the grounds of St Joseph’s Hospital. This plaque will be the first of a series dedicated to submarine commanders. Rick Rothwell, secretary of the Submariners’ Association, said: “He was very well thought of by all his crew. “That goes a long way to a submarine achieving good results, the crew being 100 per cent behind the commander. “The management committee thought it was a good idea, while there are still living contacts to the submarine VCs, to commemorate them. The Victoria Cross is the highest military honour for gallantry awarded to British and Commonwealth forces. Admiral Sir James Perowne, president of the Submariners’ Association, will attend the ceremony along with the Mayor of Newport, Cliff Suller. A memorial service to Commander Linton is held every year and in 2004 a Wetherspoons pub on Cambrian Road was named after him. This entry was posted in UK Submarines and tagged HMS Turbulent, John "tubby" Linton, Linton, Submariner, VC, Victoria Cross on July 24, 2013 by jasonlockley.